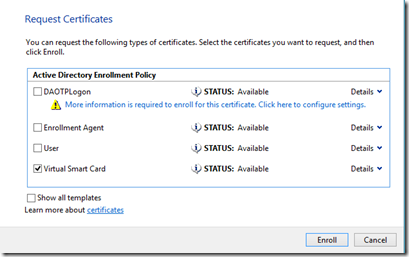 Just a quick post describing how to request an AD FS SSL (service communications) certificate from within Windows Server Core. The OS being used is Windows Server 2016, but, unless otherwise stated, this also applies to Windows Server 2012 R2. 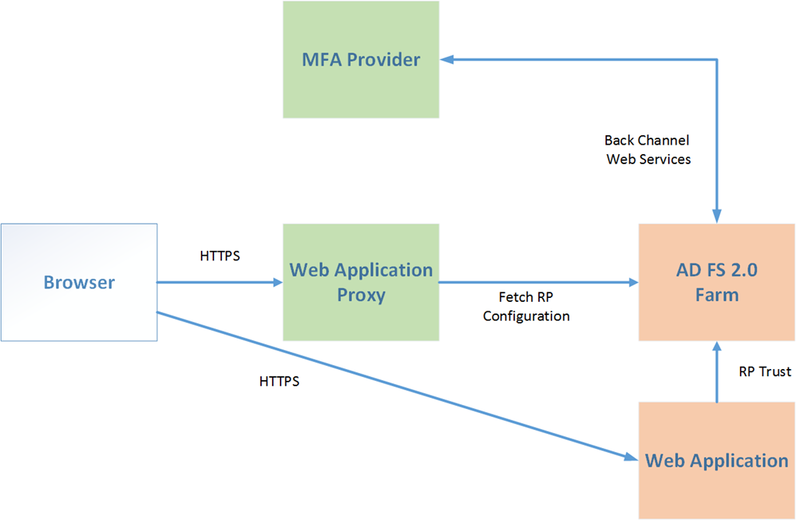 The issuing authority is an Active Directory Certificate Services Enterprise CA. 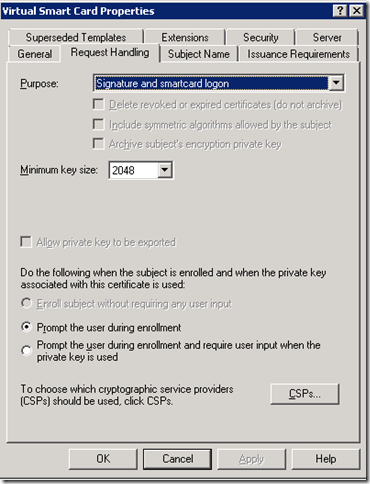 This is the legacy tool uses for certificate enrollment since Windows 2000. While a little cumbersome, it’s provide to be very useful over the years. It’s a command-line utility that parameterizes the request, submission and processing of the request file and certificate response to the Certificate Authority (CA). As a rule-of-thumb, it’s used where traditional enrollment mechanisms: web enrollment or MMC are not available or valid. To begin a configuration (TXT) file needs to be created. This serves as an input file for completing information concerning the request. We’ll call it ADFSDEMO.TXT. 1 is the common name for our certificate, i.e. the federation services URL. 2 specifies a hash algorithm of SHA-256. Note that CNG algorithms are only supported in AD FS in Windows Server 2016. Use SHA-1 for older versions. 5 For third-party certificate authorities or a stand-alone AD CS CA, the CertificateTemplate=”WebserverV2″ line can be dropped. Click on OK and the CA requests a location to save the generated certificate on the local disk of the server. For consistency, we call it ADFSDEMO.CER. This section is the picture of conciseness as PowerShell simplifies the enrolment process for us. Here’s the request, submission and installation of the certificate, succinctly rolled-up into one command. 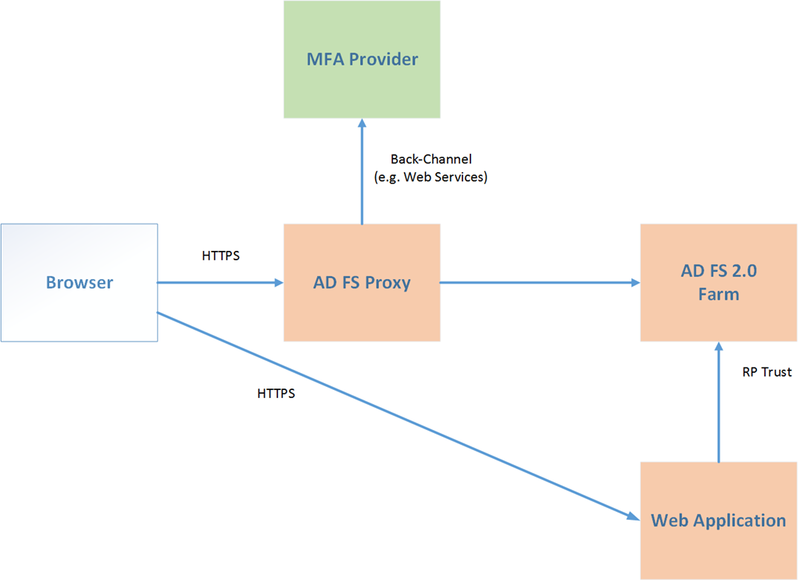 Assuming the server has already been domain-joined, has had the AD FS feature installed (Add-WindowsFeature ADFS-Federation) and a service account created in AD, then the configuration wizard of the AD FS farm can begin. 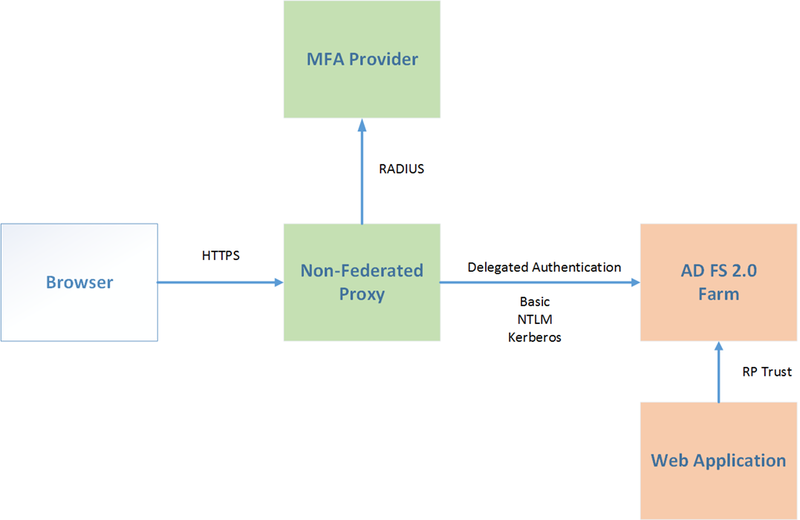 Here’s an example of a WID-based deployment for the first farm node, utilizing the thumbprint of the SSL cert. The credentials for the service account are collected via the variable $cred, before being called in the Install-ADFSFarm cmdlet. Before I finish the second article on Step-Up Authentication, I thought I’d write something quick about Virtual Smart Cards (VSC), as they also feature in the next post. While Windows 8 has been taking lots of flak for various UI changes, there are a number of nice new features that have snuck in rather quietly. One of these is support for Virtual Smart Cards (VSC). VSC’s provide an alternate strong authentication mechanism that removes the need for a physical smart card reader. They emulate the use of a physical card reader via the use of the Trusted Platform Module (TPM) found in most modern business-grade computers. 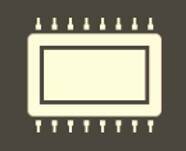 The TPM module stores the private key of the virtual smart card. While, it’s not two-factor authentication per se, (the virtual smart card is stored on the same device as the crypto module), it is nonetheless an improvement strength-wise over username/password and software-based digital certificates. We’ll give it the official 1.5x times authentication moniker (1.5FA) . Private keys are stored in the crypto functionality of the Trusted Platform Module (TPM) of the laptop. The private key is device centric, with the virtual smartcard stored on the same computer. The TPM module needs to be enable on the computer. This can be done manually (woo-hoo!) or via some form of script, or in conjunction with vendor client instrumentation software. VSCs provide a number of nice features, but they add a little more added complexity in the setup stakes. Given that we’re emulating physical smart card behaviour, we’re going to need a certificate and that means Certificate Services and an enterprise Public Key Infrastructure (PKI). I’ve used a Windows 2008 R2 CA in this example. 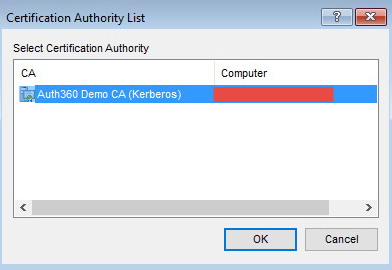 On the enterprise certification authority (CA) we can duplicate the built-in Smartcard Logon template found in certificate services using the V2 Windows Server 2003 compatible template. With our new template, entitled Virtual Smart Card, on the Request Handling tab set the certificate purpose to Signature and Smart Card Logon and the minimum key size to 2048. 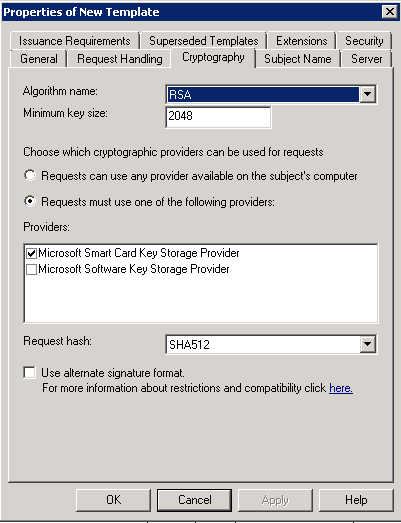 On the Cryptography tab set the cryptographic provider to the Microsoft Base Smart Card Crypto Provider. Give (authenticated) users Enrol permissions on the Security tab of the template and then issue the new certificate template. 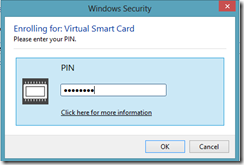 We can use the built-in tool TPM Virtual Smart Card Manager (tpmvscmgr) to provision the smart card. The generate command formats the TPM virtual smart card so it can be then used to enrol for certificates. Select the Virtual Smart Card template. During enrolment a PIN needs to be set. With the VSC enrolled. we can now logout and the virtual smart card should be available for logon. Click on our enrolled user and then logon with our PIN. I thought I’d give this a whirl with AD FS. 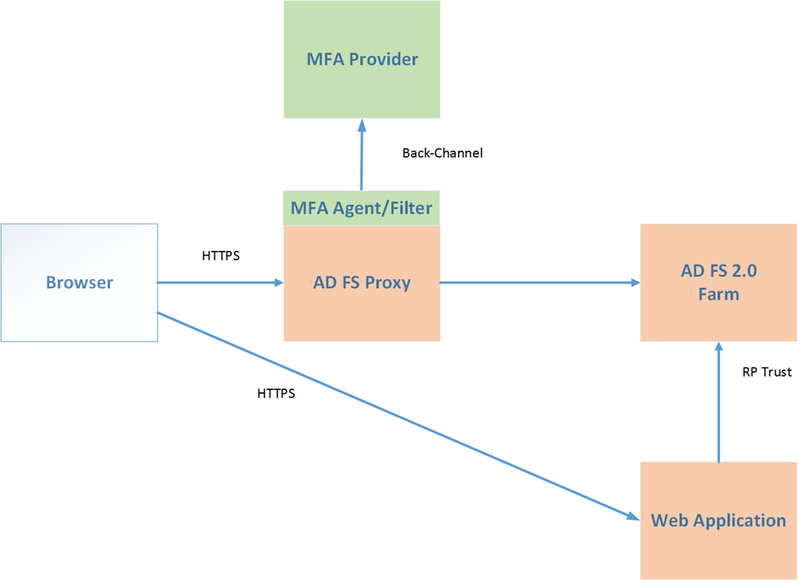 For the purposes of this exercise, to support VSC smart logon, I changed my AD FS proxy configuration to support client certificate authentication, modifying the local authentication types parameter in the web.config on the AD FS proxy. 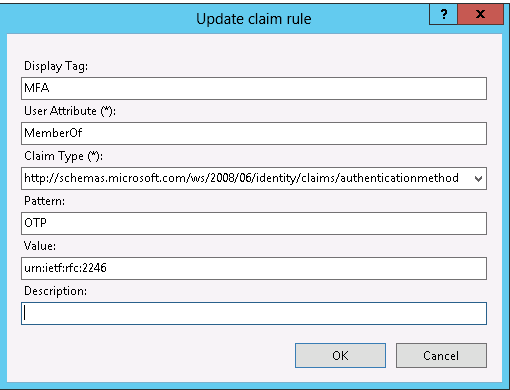 We’ll cover other logon scenarios using VSCs in the next Step-Up authentication post. Meanwhile, TLSClient (SSL Client Certificate) is elevated to the top of the list and switched with the default Forms authentication. 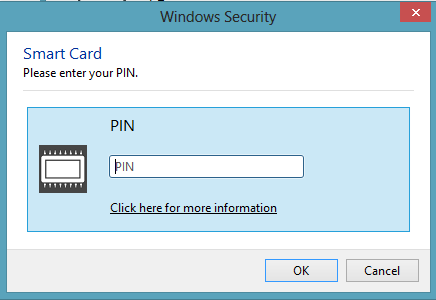 Having highlighted and click my user, I now enter the PIN. Users not possessing a smart card user certificate will get a 403 error. The problem with this approach is that it’s a little generic. We’ve simply configured AD FS to authenticate users based on the presence of an X509 certificate. We could always add our VSC users to a security group and reflect this in an authorization claim in AD FS, Even better we could configure authentication mechanism assurance and add an issuance policy to our virtual smart card template and then link that policy to a security group. 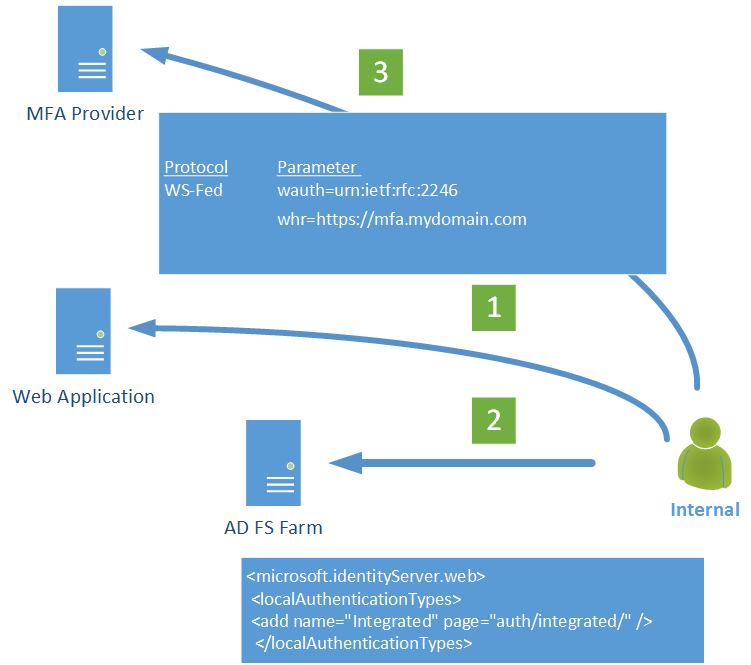 Microsoft provide a couple of Powershell scripts to allow this, The Object Identifier (OID) of the certificate authenticating at AD FS needs to correspond to the linked claims rule to the OID in our “Virtual Smart Card Authentication” security group. We’ll look at this in a future post about Bring Your Own Device (BYOD), Workplace Join and Work Folders, new features in Windows 8.1.